A 23 year old from the Mayenne department was intercepted by the gendarmes, Wednesday, 30th November in the afternoon, in Lassay-les-Châteaux. He was speeding 60 km/h above the speed limit. A 23 year old driver from the Mayenne department was intercepted by the police on Wednesday 30th November, at 5.15pm, in Lassay-les-Châteaux. The young man traveling on the RD34, the road between Couterne in Montreuil-Poulay, aboard a Citroën C4. He was intercepted by the gendarmes travelling at a speed of 150 km/h instead of 90 km/h, the maximum soeed for the road. The driver, a Commercial sales man, said he was “late for an appointment.” He was stripped of his license on the spot. He will be summoned before the court of Laval. 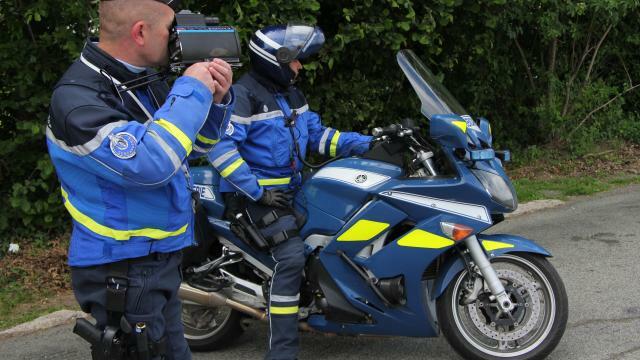 Moreover, on the same stretch of road, on the same Wednesday afternoon, the gendarmes of the motorized brigade of Mayenne also intercepted three vehicles that were following at the speed of … 116 km/h. The three drivers were from the same family and were performing a move. They left with a € 45 fine and one point less on their driving license.